The Valdosta State University Film and Video Society will host the South Georgia Regional Meeting of the Georgia Production Partnership (GPP) from 1:30 p.m. to 2:30 p.m. on Thursday, Feb. 28, in the Student Union Theatre. Sponsored by the Georgia Film Office, a division of the Georgia Department of Economic Development, the South Georgia Regional Meeting of the GPP is an opportunity to showcase how the film industry impacts the Peach State, as well as how communities outside of Atlanta are attracting film productions to their cities. The South Georgia Regional Meeting of the GPP is open to anyone interested in learning more about Georgia’s booming film industry. However, it is primarily geared towards economic development professionals, city and county leaders, and students pursuing degree programs in film studies throughout the 57 southernmost counties in Georgia. Pre-registration is required by 11:59 p.m. on Sunday, Feb. 24, and may be completed by visiting https://bit.ly/SGARegional. This event is free to GPP members and $10 for all non-members. 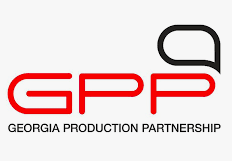 The South Georgia Regional Meeting of the GPP will feature a panel of film industry experts, with discussion moderated by Malenka Warner, chairwoman of industry and community relations for the GPP. • Craig Dominey, manager of Georgia’s Camera Ready program, will share how Georgia is working to bring film and television production to communities across the state by offering production companies easier, faster, and better access to county production resources and location information. Numerous Georgia counties have enjoyed the economic impact of film and television production through the Camera Ready program, including local hires, tourism, hotel stays, and purchases of goods and services. All 159 Georgia counties are Camera Ready certified by the Georgia Film Office. This groundbreaking initiative was started in October 2010. • Jeffrey Stepakoff, executive director of the Georgia Film Society, will discuss how Georgia’s student workforce is being prepared for entertainment jobs, as well as how local communities are being educated on efficient practices to attract entertainment projects to their areas. The Georgia Film Academy is an example of forward-thinking infrastructure — a collaborative effort of the University System of Georgia and Technical College System of Georgia supporting workforce needs of the film and digital entertainment industries. The academy certifies workforce ready employees in needed areas, connects students and prospective employees with employers, and offers a unique capstone experience for top students that will provide them a path to employment in Georgia. VSU’s Student Union is located on the Oak Street side of Main Campus, at the intersection of Baytree Road and Oak Street. The South Georgia Regional Meeting of the Georgia Production Partnership will kick off the third annual South Georgia Film Festival. This three-day celebration of the creative spirit will include screenings of feature and short films from national and international filmmakers, as well as panelist discussions with industry experts, March 1-3 on the VSU campus. Passes are on sale now at http://southgeorgiafilm.com/.